Wow. 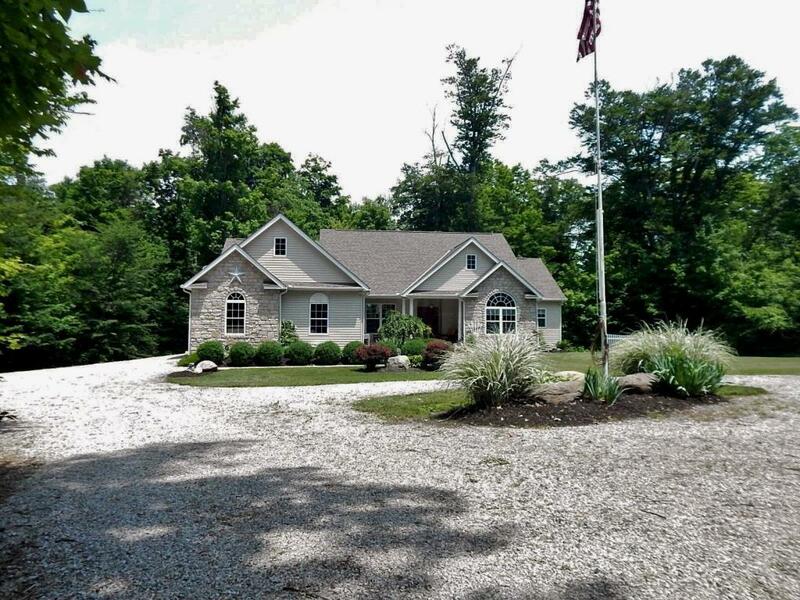 Custom built, ranch home on very private 3 acre wooded lot with additional detached garage. This home has it all; Wood floors, solid surface counter tops, quality cabinets, stainless appliances, beautiful wood doors, ceramic tile, gas fireplace,whole house generator, screened porch and so much more. 4 main level bedrooms. Open great room concept with dining room as well as morning room. Split bedrooms. Downstairs you will find a whole other house with living room area, dining area, full kitchen, full bath with tub and shower and bedroom with walk-in closet. All this with fabulous views out every window. 36' X 36'' pole building is insulated and heated. This is the home everyone is looking for! 3,356 sq. ft. including finished area in lower level.